One of the few locations you can get Stu Brew beers, brewed by the students at Newcastle University just behind the building. Can get absolutely rammed during the football. 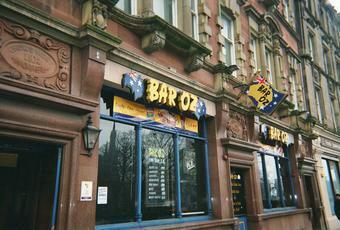 Drink in here regularly through the week after work and never had any trouble with the manager. Perhaps because we are regulars that they dont bother us about having a drink in our hand. Place used to be a nightmare when LFC played, as all the student fans seemed to come out of the woodwork. Gets really busy when big televised games are on so can be a bit of a squash. I like the place, but its not somewhere you would necessarily stay for more than a few. Toilets clean, most of the staff serve you fairly quickly. Never had the food but always looks nice. Went in there to watch the England game last night. In between a round my mate was asked by the manager, "are you drinking or just watching?" (his hand had been empty for about 30 seconds and we'd been in there over an hour). The manager had done the same a few months ago, but we'd decided to give the place another chance as it's good to watch the footy. No more chances this time, they've lost the custom of myself and all my friends (a big group of us used to get in there for the Liverpool games). Disgrace; avoid until manager learns the art of courtesy. Strangely likeable place with some ales and good for watching sport. Food was excellent too. 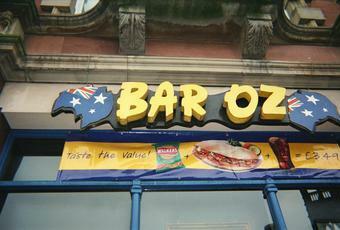 Was never much of a fan of these place when was it Inventions or Bar Oz. Suppose its ok for the quick pint. Nowt special at all.